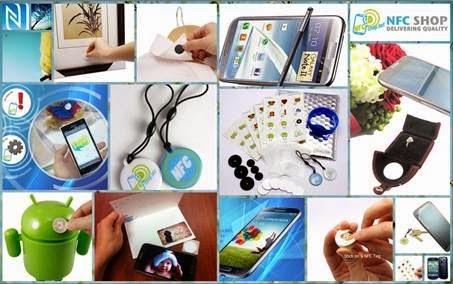 NFC-shop.net is now offering special discount for NFC phone, NFC label and tags. This online shop promises a fast delivery and best dollar-for-value products, including SAMSUNG smartphone models which has NFC-function. 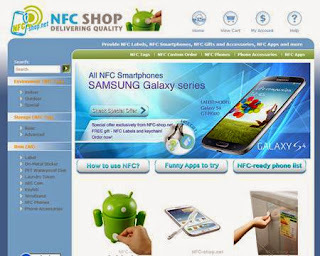 Please also LIKE the facebook page of NFC-shop.net for exclusive discount and update. There will be surprising gifts or discounts inside facebook shop from time to time, only available on facebook online shop. If you want to know more NFC news, or more ideas on how to use or what can be done, please also check out the blog "NFC-Maniac", written by our NFC reporter Kitty, who is the expert in East Asia High-Tech culture, and is bringing the latest and most interesting Japanese/Korea's NFC applications to the blog.